Oli de Roqueta, extra virgin Olive oil D.O. 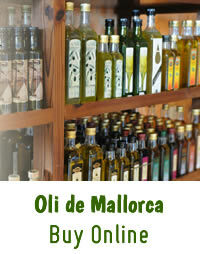 Olive Oil Roqueta is done in a beautiful agro-tourism in north Mallorca. Own olives are harvested by shaking and by compressed air. After intensive supervision and proper storage, the oil is bottled. 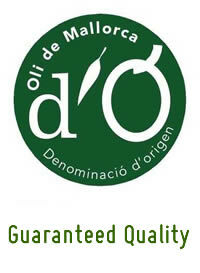 It's a high quality and pure Arbequina Olive Oil, fruity, slightly bitter and spicy hints. An amazing a harmony of almonds, figs and ripe apples.